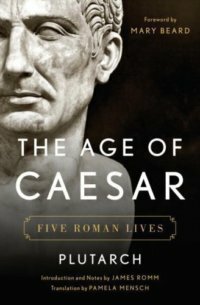 The Age of Caesar: Five Roman Lives. Plutarch. Translated by Pamela Mensch with Preface and Notes by James Romm and Introduction by Mary Beard. New York: W. W. Norton, 2017.